Are you ready to really learn the piano? Perhaps you had lessons as a child. You may have taught yourself a few songs here and there. Or maybe you’ve never played a single note. The point is, you’ve never really learned to play. Are you ready? 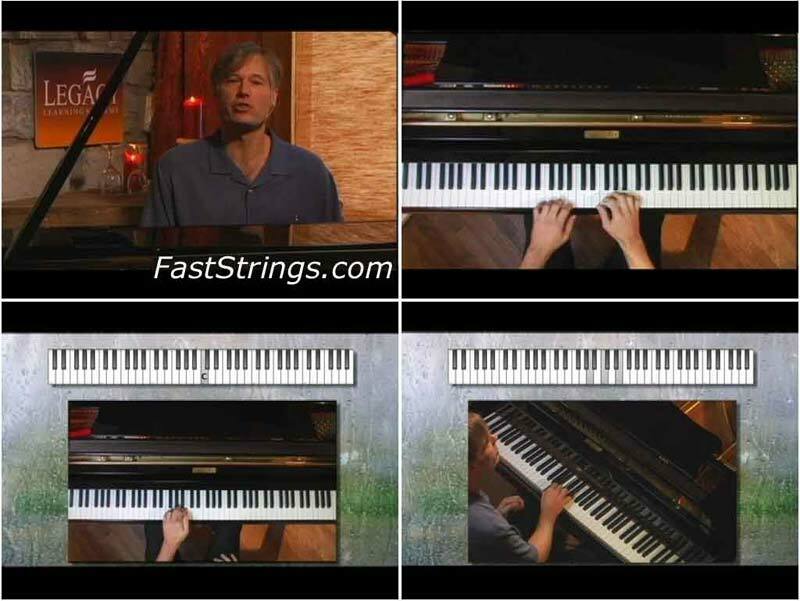 Learn & Master Piano is by far the world’s most complete video instruction course for learning piano. Designed to walk you through from start to finish, Learn & Master Piano is the only instructional tool you’ll need as you strive to finally learn this wonderful instrument – even if you’re sitting down to it for the very first time. Learn & Master Piano is designed primarily for adults. Unlike the lessons many of us had as children, you will begin playing popular songs right away and then develop your skills using a simple step-by-step progression. The course consists of 14 DVDs, 5 play-along CDs and a 100+ page lesson book, all crammed with step-by-step instruction, clear demonstrations, and popular songs you already know, such as “Let it Be”, “Blueberry Hill”, and “Moondance”, just to name a few. You also get full access to our online student support site where you can question our instructors, post your profile, track your progress, chat with other students, and join in the fun as we all learn piano together. Thanks, but only 1 download every 10 hours! There are 29 parts so 290 hours! Hi.. I tried to DL the first part of Chapter 1, from Novafile, but it replied me that the file can be DLed only by a Memeber Premium. Have you uploaded the files somewhere else? nice source to learn . wow great video, liked that!! Thank for sharing this ideas.. it really help a lot… keep up the good work! This is truly a great post. I thank you very much. como puedo hacer para compartirles algunos dvd que tengo? hi can you let me know which rar file include PDF?I got all DVDs but i just need the pdf file.. Thank you guys, for all these videos.